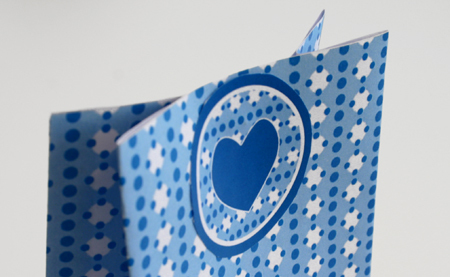 Baby Blue Paper Bag | Print, Cut, Paste, Craft! 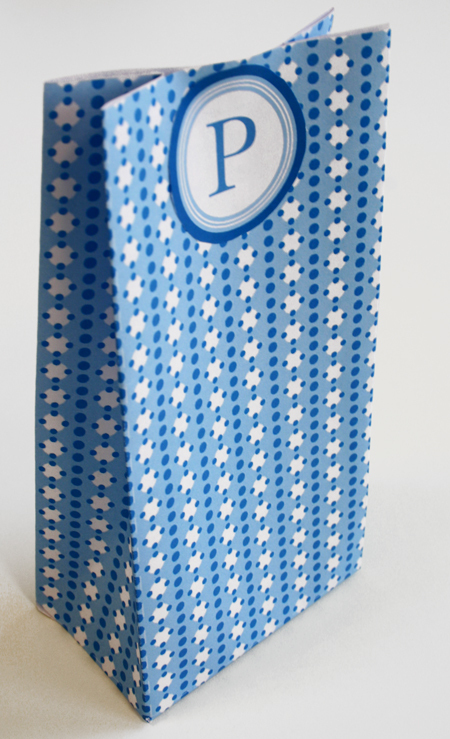 Another lovely paper bag, decorated with a monogram on the front side and a blue heart on the back. It could be a great way to wrap a small gift for a little boy or a favor for a boy’s baby shower. Click Here to download the free template in PDF format. The file contains all the letters of the alphabet, so you can personalize it however you want.